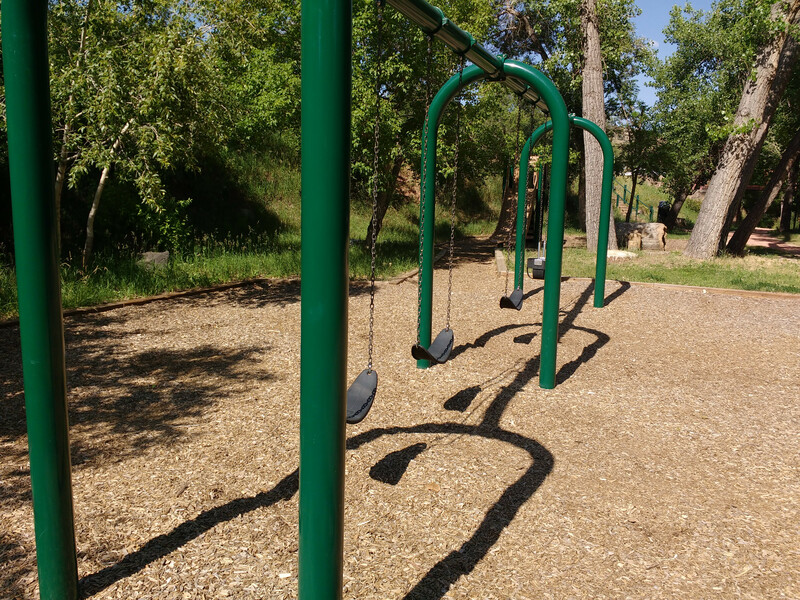 Free high resolution photo of swings at the park. This picture shows an empty swing set with four swings, no kids at the park that day. The playground equipment is located in a bed of soft wood chips, and behind the play are you can see trees and green grass. Free image for any use.